This 2 disc release is Dan Pound’s third re-master project from older material. Dan describes his music as ambient electronic, tribal-ethnic, new age, shamanic space music and I can’t disagree with that!! Disc One: SPIRIT CALLER: Sounds like the title, Native American peyote circle music but also very controlled and precise, with nice production. The music sounds perfect along with the thunderstorm that is rolling thru my neighborhood at the moment! OTHER WORLDS: Some uptempo drum machine oddness on this one. Conjurs Herbie Hancock electronic weirdness. Some nice didgeridoo, yes, very nice!! My wife Sharon (vocalist in Book of Shadows) said so just as I was writing this!! These tracks could go on another 15 minutes without being boring! SORCERER’S CHAMBER: More ambience, like a sorcerer would prefer? Some nice (female?) vocals. Tasty synth drones… gets livelier as it goes on. Weird sparse percussion. Sounds a bit dated but that’s probably because it’s from 2004-2006. NIGHT WHISPERS: More creepy space coolness with (male?) chant vocals. For some reasons this reminds me of the Fellini movie Satyricon! Meditative magical space music. What more could one ask for?! Sharon gives this CD two thumbs up! LAST GENERATION/DREAM CIRCLE: More lovliness, onward thru the fog… the title Dream Circle is intriguing… droney driving space weirdness with percussion. The perfect CD to bust out for yer next peyote ritual!! ELEMENTAL TRACES: More “modern” uptempo with casio sounding drum machine along with some tasty guitar. For me this track is more New Agey and therefore a bit less interesting than the other tracks but still nice. Some jazzy piano doodle. COLLIDING MEMORIES: Back to the eternal drone and then the percussion. The thunderstorm has blown thru and the dogs are asleep, the music has done it’s job! Nice track, similar to previous music but also quite different… a bit of mid 70’s Tangerine Dream to it. THUNDER VOICES: Sharon gives it 5 out of 5 stars… more of the same, truly starts to take you to another world… becomes one long piece of music. I’m grateful it’s not marred by sung lyrics. BENEATH THIS WORLD: Quiet stillness, very Tibetan, very atmospheric, mood setting… strange cool chants… “we could plan a murder or start a religion”, as JDM said… Yes! More, More, More. RETURN: Definitely music that would be conducive to magical rituals. This one conjurs movie soundtrackness. It would be interesting to hear the drums mixed down on some of these tracks; the drums that sound obviously drum machiney. LAST WAVE (THE): More drone and percussion atmospherics. An appropriate closer. The longest track on disc one. I’d be interested to know what Dan’s spiritual beliefs are because he definitely has some… like going thru a long tunnel to the center of the earth. DISC 2: PURE FLOW/SHAMAN’S PATH: Piano and other world loveliness with chanty vocals and percussive rhythm; ethereal and primal at the same time! Pretty cool. 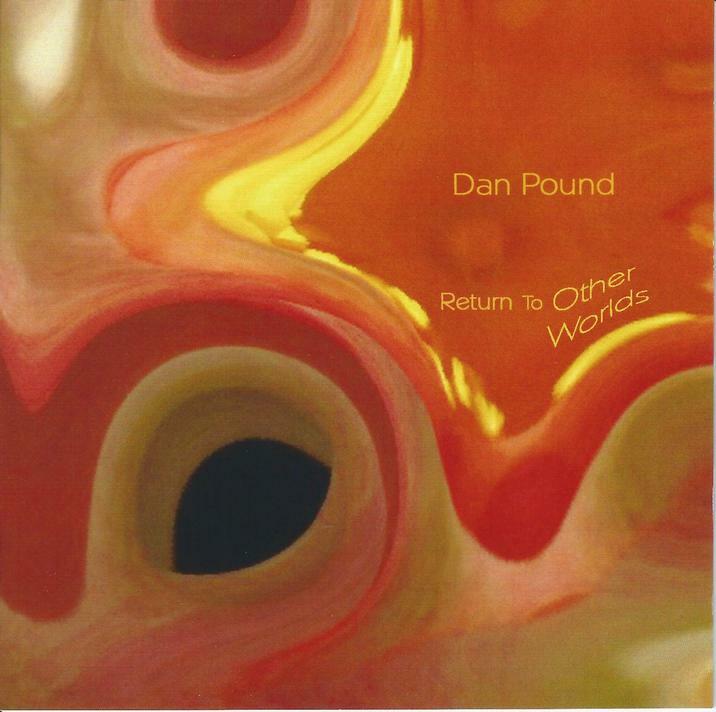 Dan Pound seems to be a very sincere artist who is exploring unknown realms of philosophy and sound. FINDING MY WAY: Out there pure space joy (Dan Pound vocals?). HORIZON’S EDGE/DOOR BEYOND TIME: More drone rhythm and and percussion. Has the Native American vibe. You have to slow yourself down to absorb this music… yes, return to other worlds. One thing I’ve noticed about this music is that it makes much more sense late at night on a drive thru the country. WAY TO ECSTASY: Whoa, it’s funky, like Low Rider or something but quickly becomes New Age tribal, an odd mixture! Kinda like a boogie down with crystals!! But in a good way!! Goes like this straight thru, like a loop! A loud cicada through a part of it… and then quieter and quieter. HEART INTO SOUL: Percussive snappiness with a layer of Dan Poundness on top… gets a little samey but a good samey!! Nice vocals, guitar and flute?!! ALWAYS THE LIGHT: A droner, this one! Ah, you can do so much with a drone. Yes, it’s quite lovely!! My wife Sharon says it’s “Very pretty”!! WARMTH INSIDE: Another meditative piece, then some loud piano. Very sound tracky but not sound tacky!!! RISING HEAT: Back to the Tangerine Dream riffage with tinkling new agey piano. Intense and mellow at the same time. NEAR THE END: Starts very quiet and into military drummage with spacey overtones! Yes, very nice! Short and sweet. LAST WALTZ: Spacey lazy and yes, waltzy. All of Dan’s music is very well recorded and conducive to multiple listens; about the highest compliment I give!! ARRIVAL: The last track of this double disc release and it’s a slow spacey one. So far… ambient floating lovliness… Sharon says “Dan Pound!!! Very impressive”.